Jess met Dr. Rosato while interning for her while still in school, and returned to work for her after graduation. Jess graduating high school in 2013 and continued her education at NHTI, where she graduated as a Certified Dental Assistant in 2014. 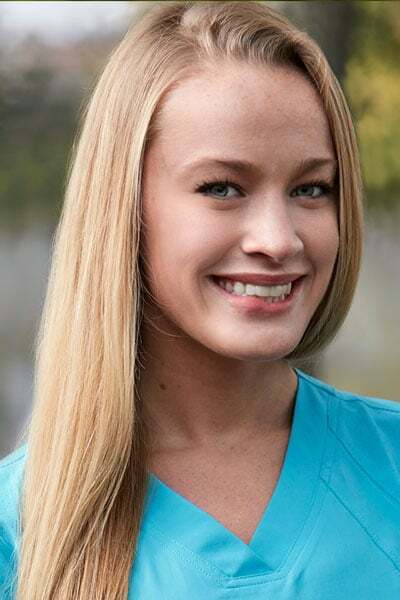 Jess discovered her passion for dentistry when she was a young girl, and enjoys sharing that passion with her patients and colleagues. She understands that patient education is vital, and works hard to educate patients on the impact oral health can play in overall wellness. A New Hampshire native, Jess now lives with her boyfriend on Northwood Lake in Northwood, NH, where she enjoys spending time with family and friends on the lake. She also enjoys traveling and playing with her two dogs, Mac and Lennon.